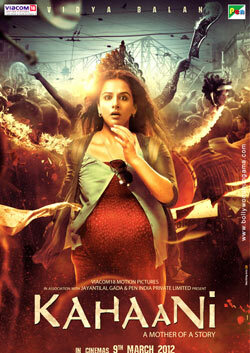 Kahaani, a Hindi movie, is not currently screening in any theatres in Hyderabad. Seems like it is "inspired" by Angelina Jolie's "Taking Lives". But a pretty good one. Pros: Vidya and everyone, in fact. There is a new hero in Bollywood, and her name is Vidya Balan. After No One Killed Jessica and The Dirty Picture, she does not need a male lead to attract crowds. In fact, she has become the most viable actor after the Khans, and now, with Kahaani, she may just change the way things are run in the male-dominated industry. It is rumoured that she no longer wants to star in movies that do not revolve around her, and you only have to watch her latest release to understand why she is so completely justified in her demands. fullhyd.com has 700,000+ monthly visits. Tell Hyderabad what you feel about Kahaani, and then also see all user reviews for Kahaani!